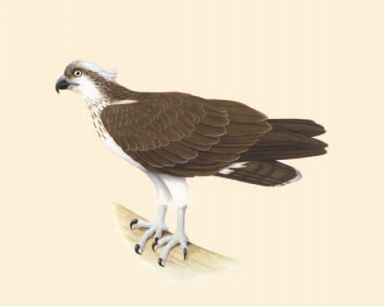 Physical characteristics: Ospreys are medium-sized hawks, about 22 inches (56 centimeters) long from bill tip to tail. Their feathers are mostly black on the back and white on the front with a speckled "bib." Ospreys have sharply-hooked beaks and very strong feet with sharp talons that are good for grabbing slippery fish. The outer toe on each foot can be swung backward for an even stronger grip. 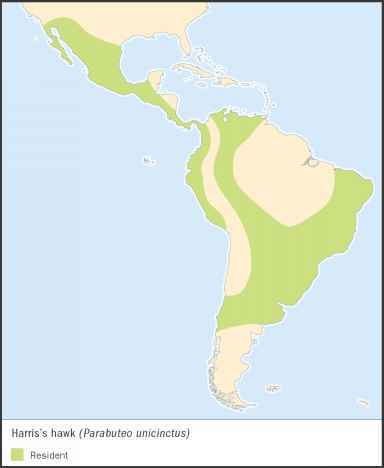 Geographic range: Ospreys that breed farthest north in Alaska, Canada, and northern Europe and Asia migrate to South America, Africa, and India for the winter. Ospreys live year round in Australia, the southern United States, and eastern China. Habitat: Ospreys live near water of all kinds, both inland and near the ocean, including marshes, lakes, reservoirs, bays, seashores, rivers and estuaries, where salt water and fresh water mix. Diet: Ospreys are sometimes called fish hawks because fish is about all they eat. They glide over shallow water and dive down feet first to grab fish with their sharp talons. By holding heavy fish with both feet, ospreys can carry them to land. Using their sharp beaks, ospreys tear the fish into bite-sized pieces. Behavior and reproduction: Ospreys often build stick nests in trees near water. But they also nest on the ground on small islands and on sea cliffs. 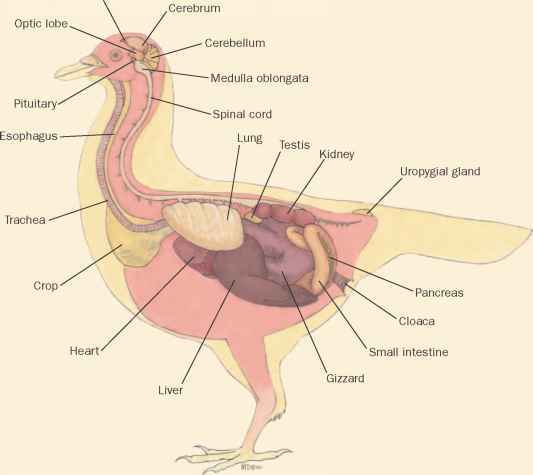 Females usually lay three eggs. Males bring fish to the females while they stay on the nest. Females keep the eggs warm and shelters the chicks from cold winds and the sun's hot rays. After the young birds can fly, they stay with their parents for a while. If their parents migrate, the young birds will fly south with them. Ospreys and people: Biologists build nesting platforms on tall poles in the water for the ospreys. The birds like to nest on the platforms, because they are safe from raccoons and other mammals that steal their eggs.